Mitt Romney predicted Donald Trump may have damaged his chances to win the GOP primary or general election with his "hurtful" comments he's made about women and Hispanics. "I think Donald Trump has said a number of things, which are hurtful and he has said that they were childish in some respects, and I think will be potentially problematic either in a primary or general election if he were to become the nominee," the 2012 GOP presidential nominee said in a new interview with David Axelrod on "The Axe Files" podcast, hosted by the University of Chicago's Institute of Politics. Axelrod is a former senior adviser to President Obama. "They relate to things he's said about women and things he said about members of the news media, things he said about Hispanics. I think he'll have some challenges if he proceeds to the next stage," added Romney, who also served as governor of Massachusetts. When Trump launched his campaign, for example, he compared Mexican immigrants to criminals and rapists. He also came under fire for remarks about Fox News Megyn Kelly and even his GOP presidential rival Carly Fiorina. Romney, who called Trump a "big megaphone," said Trump's rise has surprised him. "I would have never imagined that Donald Trump would have the level of support he has had and continues to have," he said. Instead, Romney said he would prefer someone with more extensive experience in government and in leadership roles to lead the country. 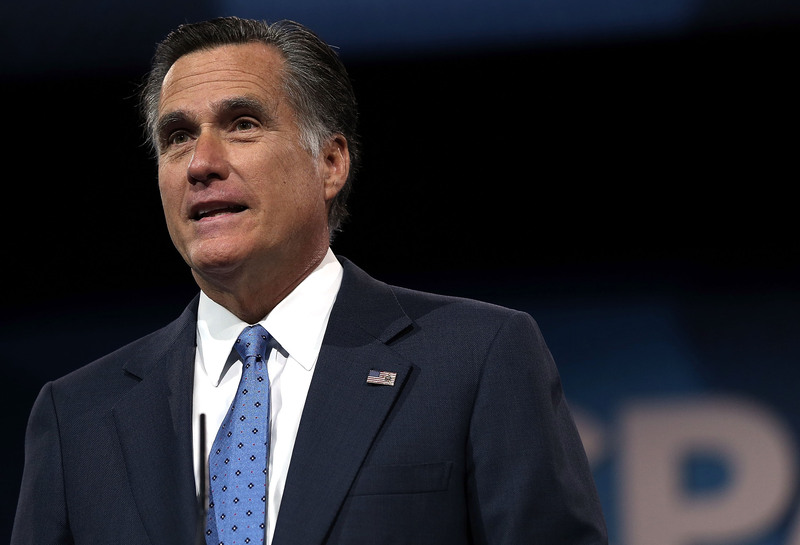 Romney ruled out another presidential bid in January. At the Atlantic's Washington Ideas Forum last month, Romney said he didn't think Trump would win the GOP nomination, but said that he would support the nominee. Asked if there would ever be a scenario in which he would re-enter politics, Romney told Axelrod, "I don't see that." On the race for the next House speaker, Romney said he would love to see Rep. Paul Ryan, R-Wisconsin, in any leadership role he wants, but not necessarily speaker. Republicans are pushing Ryan, the chairman of the House Ways and Means Committee, to run. "In some respects, he is the kind of person I'd like to see as president some day. And I'm not sure being speaker of the House opens the pathway to the presidency or closes it off," Romney said.